Considering that the main Tennessee entrance to Great Smoky Mountains National Park practically borders the southern end of Gatlinburg, Tennessee, it should come as no surprise that the community was the first in the area to develop a tourism industry. 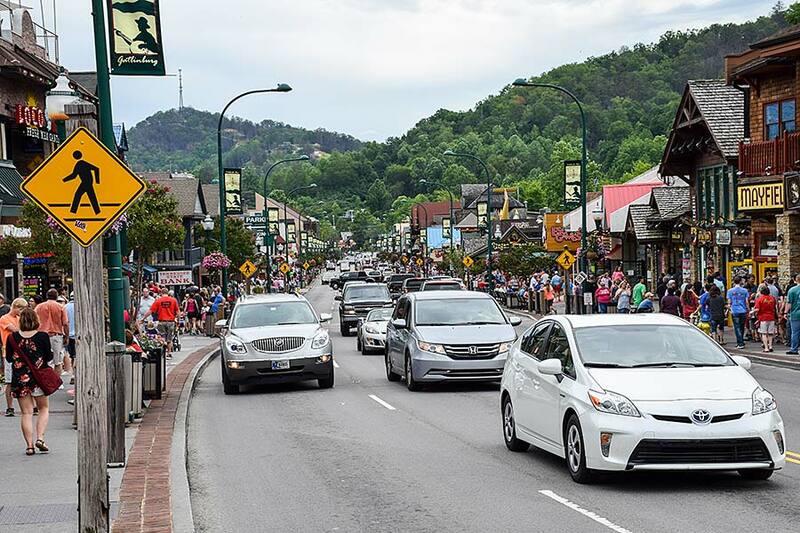 Practically since the creation of the national park, businesses began springing up in Gatlinburg that were designed to appeal to the many visitors that began flocking to this little mountainous corner of the Appalachians. Today, Gatlinburg is still considered the gateway to the Smokies, and it has come a long way since its first humble tourism efforts of the 1940s. Much of what the city had to offer in those early days centered on the arts and crafts industry, which already had a firm foundation. And to be sure, art and crafts are still going strong locally, but since then, all kinds of businesses have sprung up to cater to visitors from all over world – attractions, shows, outdoor activities, shops, restaurants and more. If you're headed to Gatlinburg from Smoky Mountain Ziplines, your journey isn't very far. From the south end of the Parkway in Pigeon Forge, just take the U.S. 321/441 Spur for a few miles, and you'll soon wind up on the north end of Gatlinburg. From there, the Parkway runs the main length of town, packing into a relatively small geographic area all kinds of retail shops, restaurants, museums, live shows, family amusement centers (skiing, mini golf, arcades, etc. ), a world-class aquarium and other unique attractions that are geared toward all ages and interests. There are several other main roads you'll need to know about to get around Gatlinburg, including River Road, which runs parallel to the Parkway; Historic Nature Trail, which leads to the historic Roaring Fork Motor Nature Trail in the national park; Ski Mountain Road, which leads to a ski resort that also offers lots of fun summertime attractions; and East Parkway, which leads out of town toward areas like Cobbly Nob and Cosby, TN. East Parkway also leads toward the Great Smokies Arts & Crafts Community, an 11-mile auto loop framed by U.S. 321, Glades Rd. and Buckhorn Rd. Along the loop are more than 100 shops, galleries and studios where local crafts people make all kinds of creations by hand. Media range from woodwork, pottery and jewelry to painting, sculpture and photography. Guests are welcome to stop in and browse any time, and if they're lucky, they can even watch the craftsmen at work on site. 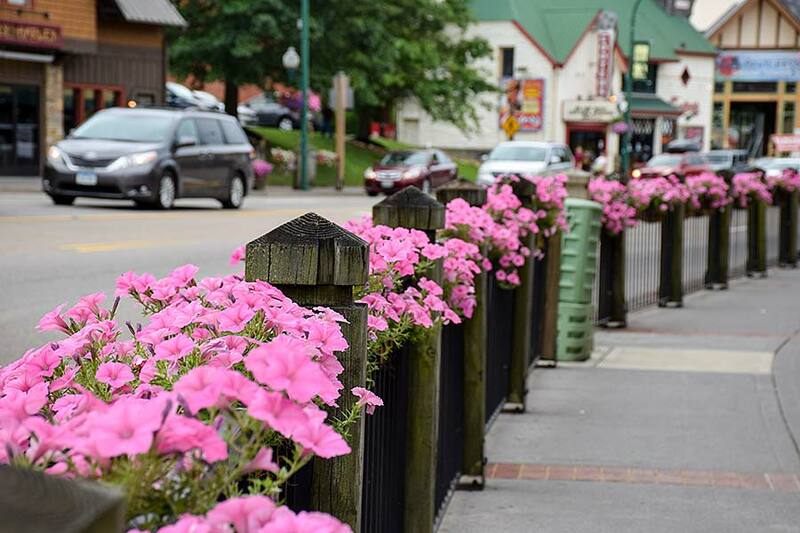 If you're looking for a little something extra out of your time in Gatlinburg, keep your eyes peeled for one of the many special events taking place in the city throughout the year. 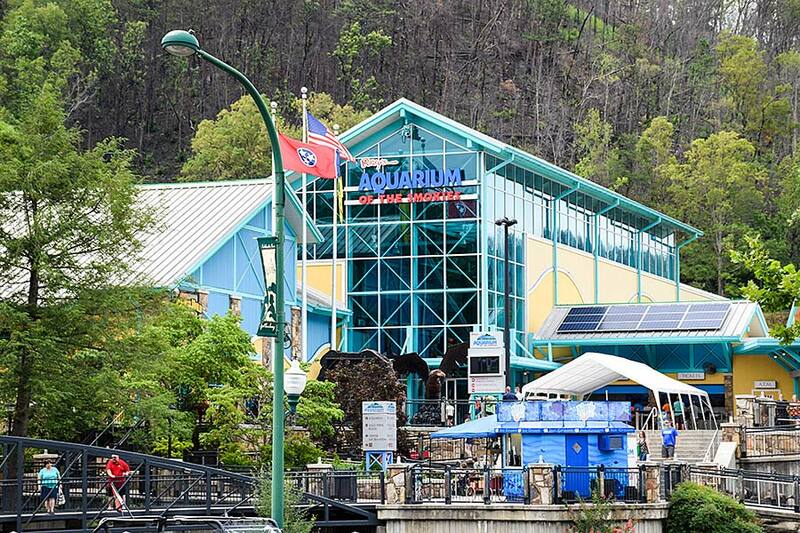 Highlights include Winterfest (November through February) and the Gatlinburg Craftsman's Fair, which takes place each summer and fall at the Gatlinburg Convention Center. The city offers a fair number of outdoor-fun opportunities too, including the aforementioned ski resort, where snow skiing, snowboarding, snow tubing and ice skating are available in the winter months. In warmer weather, the city has places to ride horses and businesses that can book you for an area whitewater-rafting excursion. And when you've had all the fun you can have in Gatlinburg, zip line action at its best awaits you back at our canopy tour outpost in Pigeon Forge. Gatlinburg offers its visitors a wide array of overnight accommodations, including numerous hotels and motels located along the main routes mentioned above. There are also many overnight rental companies that offer properties like condos, cabins and mountain chalets, which can be found in virtually any section of town. Gatlinburg even has bed and breakfast inns and campgrounds to round out the selection. Kerry Hodge is Owner of Smoky Mountain Ziplines. This zip line near Gatlinburg offers excitement for the entire family ages 8 and up. Get details, pricing and book your reservation today.